Q: What is the Gathering? Q: What was with Connor's mixed accent? Q: What it is believed to happen when an Immortal wins the Prize? 1/ This movie was a flop at the box office. Funny, I had always assumed it was a hit  it was so good, and spawned three (soon to be four) sequels and a television series. 2/ I expected some to be less than entranced with Highlander, but was interested to learn that there are those who think it complete rubbish. 3/ Some people think the sequels are good movies. How could they? 4/ Some people don't like the Queen soundtrack. How could they not? It is always interesting to see different viewpoints, especially when they are completely contrary to your own. But for me, this movie was perfect. The premise was intriguing, the story was beautifully told, the joy and pathos of an immortal amongst mortals revealed with great skill. There was great action, romance, the tragedy of love lost  and the baddest of bad guys to overcome. The casting was excellent, as was the acting. Sean Connery's contribution was exactly as it should have been, and no more. Clancy Brown's performance as The Kurgan was joyfully terrifying, Christopher Lambert was spot-on. The screenplay was excellent, as was the script. I was especially impressed with the way that flashbacks were interwoven with the ongoing story. In fact, this is the only flashback movie I have ever liked. I was also thoroughly impressed with the action sequences. Unlike so many recent movies, none of the action involved the physically impossible (with the obvious exception of the fact that the immortals were immortal, of course). This added enormously to the appeal, in direct contrast to so many movies made in the last decade. I despair when I watch movies where people perform the impossible. Even the classic scene `Oh, I'm falling  but it's OK, I can just grab this rope/branch/flagpole/whatever, and even though I have fallen 30 feet and am travelling at 20 mph, I can just stretch out my hand and arrest my fall as though I was no heavier than a feather' destroys all credibility in the action. I know, this is a fantasy movie anyway, so what does it matter? Well, realistic action is even more important in fantasy movies; it helps the audience to willingly suspend disbelief. This is very difficult to do when you are busy giggling at the latest fantastical feat you have witnessed. No such concerns in this movie  the action was perfectly judged to reflect the prowess gained from centuries of experience, whilst avoiding the impossible and the ridiculous. I was intrigued to find one user comment on IMDB criticising the use of `unnecessarily large and heavy weapons'. Anyone who has used (or even picked up) any edged weapon will be aware that they are very heavy. Moving that kind of mass means lots of momentum, and involves very distinctive body movements to counterbalance the weight. Most movies use toy weapons  plastic, fibreglass or wood  and the lack of mass shows in the actor's movements. For the uninitiated, this may make for flashier and faster action  but for those who know, it looks like children playing pretend. The use of weapons with real weight in Highlander adds tremendously to the realism. It was particularly impressive that the actors could use the weapons properly (at least to the extent demanded by the choreographed scenes  and that is all that is required for movies). Clancy Brown (as The Kurgan) deserves special praise here  he had the largest and heaviest weapon, yet wielded it like a veteran. One can only imagine the endless hours he spent perfecting his movements and balance. I do understand why some would find the soundtrack intrusive, but for me this was another area that was perfectly judged. Queen's songs enhanced the mood of the moment whenever they played. One related fact that some might find interesting  a few years ago I saw a list of the top ten best movies for music as voted for by students. Highlander made the list  the only non-musical to do so. (In fact, I think it came in the top five.) So I would guess that the soundtrack works for most people.. I also understand why the accents in the movie (Christopher Lambert's and Sean Connery's) are a problem for some. However, I was happy with Lambert's accent; it was Scottish enough for the Highland scenes, and suitably indefinable for the modern settings. Sean Connery was, of course, Sean Connery  he never adopts any accent other than his own. But that's OK  it doesn't detract from the film, any more than it detracts from any of his films (such as Red October). I tend to agree with his point that accents don't matter  emotions are the same, regardless of nationality. 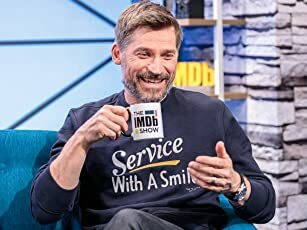 Just a quick word about the sequels  disappointing. I am not one to decry all sequels as inferior. In fact, many sequels are very good, and some are better than their progenitors. However, the Highlander sequels were without exception very poor. The original film was obviously conceived as a one-off, and was all the better for it. The story was complete with Highlander, and the sequels were necessarily contrived. However, Highlander II exceeded all expectations in this regard. The plot changed the story of the immortals beyond all recognition. Egregious just isn't a big enough word to describe it. The sequels are best viewed as being entirely separate from the original. If you haven't already seen them, be prepared for a decidedly tepid experience. 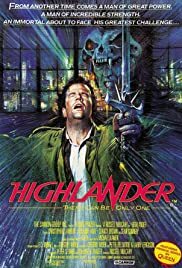 But Highlander itself  ah, there's a real movie. Sit back and enjoy! 243 of 277 people found this review helpful. Was this review helpful to you?